I’ve got a blank site that I’ve had hosted for a while now and I was adding all of my websites to Google’s Webmaster tools. 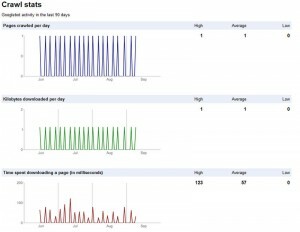 Interestingly the site crawl statistics tell us that Google’s bot will crawl a index.html only site (with no changes over 6 months of crawling) every 4.5 days. If you take a look at the graph below, you’ll see the crawler looked at the page 20 time over 90 days, or every 4.5 days. 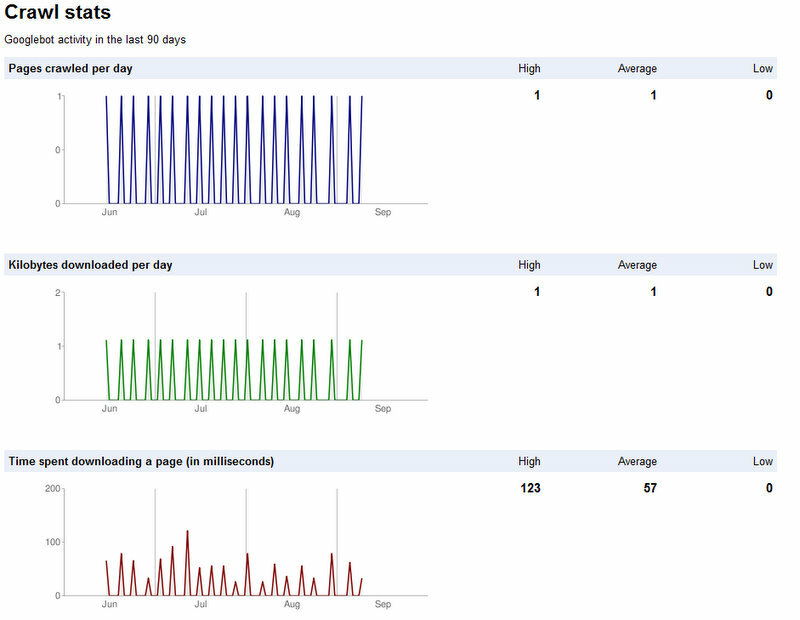 You can also see the variety of site response time from my host. So for those of you paranoid about when Google will crawl your site next to get updates, it shouldn’t be more than 4.5 days assuming it’s not a brand new site. The rest of my sites are crawled daily. . . This entry was posted in Webdevelopment and tagged googlebot, hosting, site crawler, Webdevelopment on September 12, 2009 by Waterppk.